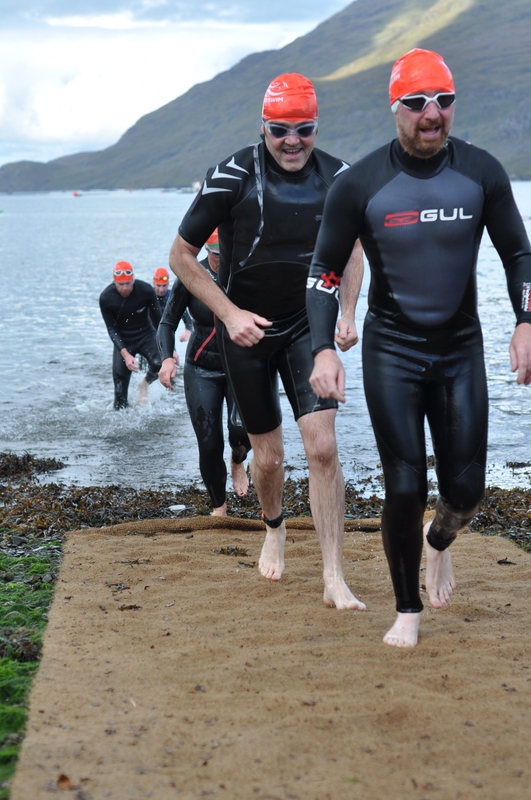 Last year, I took on the Killary Fjord 2k swim organised by Gael Force. I haven’t done any other Gael Force events, but they all come recommended, and the swim certainly wasn’t disappointing. I did have a few ‘amateur’ problems, not least the famous incident with the shortie wetsuit, but since then, I have picked up a decent full length triathlon wetsuit (Speedo), and introduced my neck and other exposed bits to the wonder of Glide. That’s me in the shortie. I may have been smiling, but a few minutes later I realised my wetsuit had conspired to saw my head off at the neck. I particularly love the guy at the back… not sure what’s going on there!